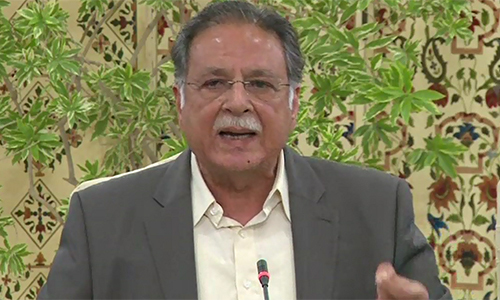 ISLAMABAD (92 News) – Federal Minister for Information Pervaiz Rashid has on Wednesday said that the nation is observing December 16 as “Black Day” across the country. In his message on the occasion of first anniversary of APS attack, Pervaiz Rashid said that the terrorists are an enemy of humanity, adding that the December 16, 2014 attack on Army Public School was a cowardly act. He said that the terrorists do not represent any ideology but they are a stain in the name of humanity.